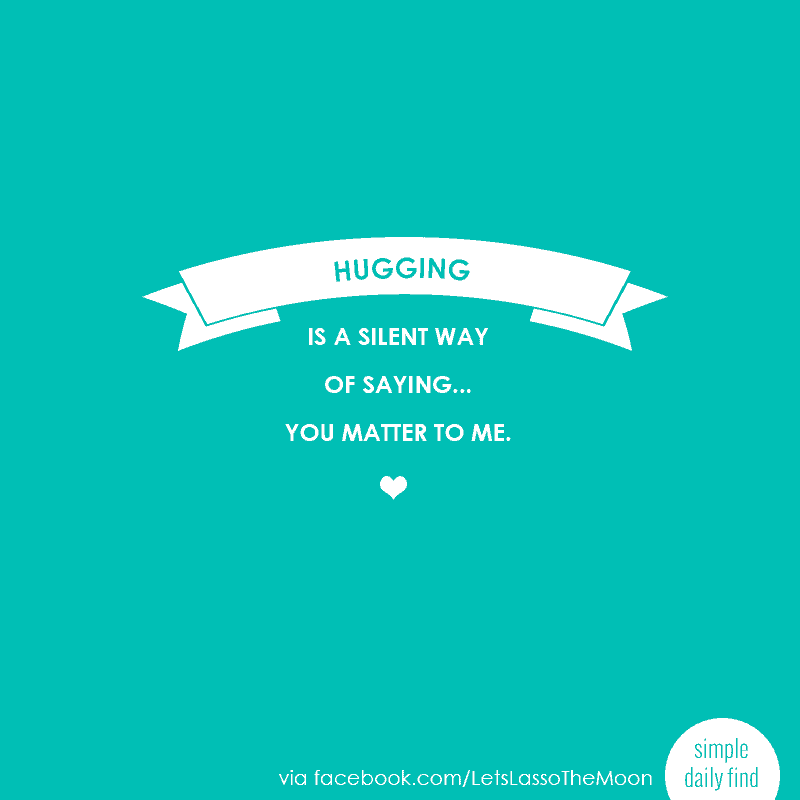 We’ve all heard of the health benefits of hugging, but do you hold your hugs long enough to enjoy the perks? According to research at DePauw University, oxytocin promotes the feelings of trust and devotion. The catch is the longer, the better. In order to fully release the oxytocin in your body and the person you are hugging, it needs to be at least 6 seconds, although a super-long 20-second hug will maximize this. Hugs are hard for me. I do not come from a family of huggers. I can literally count the number of times, that I remember, my mother hugging me on my hands. Yet, I hug my kids every single day. As my girls hit the teen years, I have a feeling being able to say “you matter to me” is going to become more important, but also more challenging. I love the simplicity of a long hug being a tool to silently convey the message.